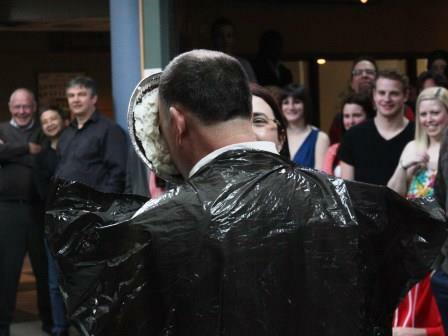 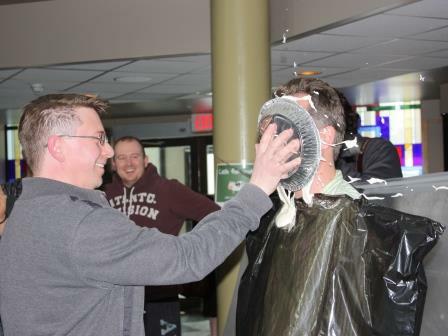 A dozen Brandon University (BU) professors were pie’ed during the 3rd annual ‘Pie Your Profs’ fundraising event on April 5th. 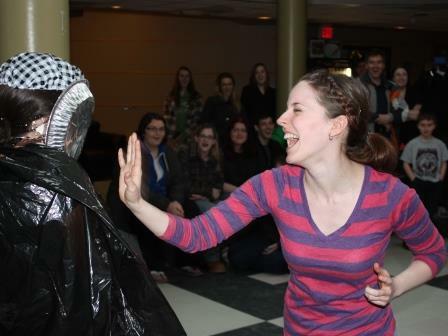 The profs were paired off last month to compete for pledges. 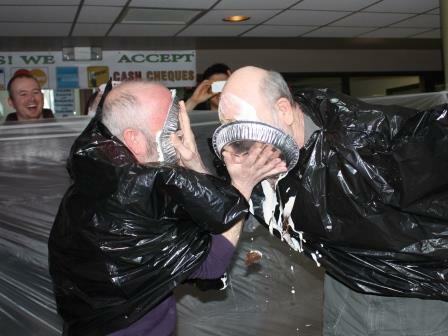 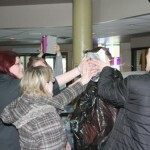 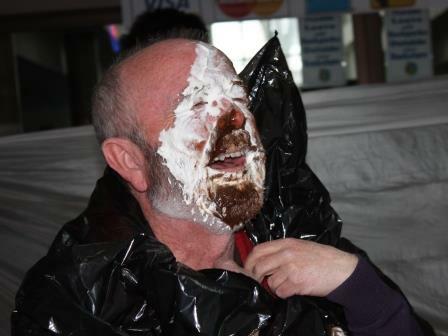 Those raising the most donations had the honour of pie’ing the others with chocolate and whipped cream. 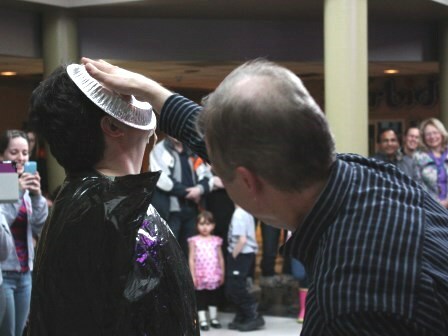 Chemistry prof Mark Berry analyzes composition of pie from colleague Bryan Hill. 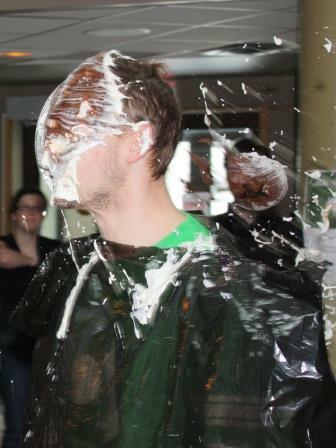 Science student Cale Gushlak caught in mid-taste. 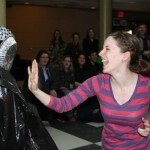 BU Zoological Society Julia Redfern pies Pres. 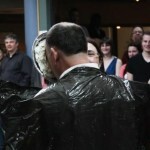 Hannah Mazier, in accordance with tradition. 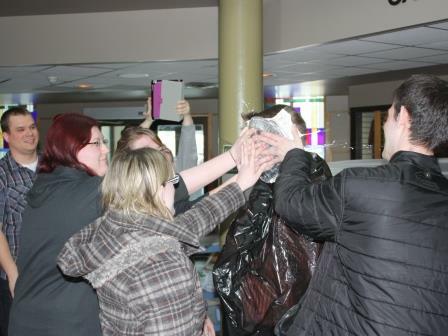 Dr. Bryan Hill gets it from students Jenna Noordenbos, Jillian Perreaux, Christine Ellis and Alex Will.